Meet The Team | Elizabeth City, North Carolina | Nina Lucas MD. 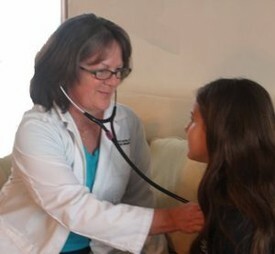 Dr. Nina Lucas is a board-certified family physician in Elizabeth City, North Carolina. She was raised in a Marine Corps family which gave her the chance to travel around the world and learn about different cultures. This exposure developed in her a heart to help people. She graduated from Guildford College in Greensboro, NC, in 1990 with a degree in Chemistry, and then headed south to New Orleans to attend Tulane University School of Medicine. While she was there, she achieved a dream of hers by receiving a Master’s Degree in Public Health and Tropical Medicine. In 1994, she received her Medical Doctorate from Tulane University. Having been awarded a scholarship to medical school through the U. S. Air Force, Dr. Lucas served at Eglin Air Force Base in Florida for her residency training in Family Medicine. She stayed on the Gulf Coast, practicing at Keesler Air Force Base in Mississippi, and then separated from the military in 2000 to be with her children more. In 2006, she moved to Virginia to be closer to family, and in 2009 she settled in Elizabeth City. She has since worked in Virginia and Elizabeth City at various offices before deciding to “go on her own.” Dr. Lucas is looking forward to providing the community of Elizabeth City with the medical services they need and deserve. Dr. Lucas has four wonderful children, and she enjoys gardening, exercising, and leading Bible studies. She has gone on several mission trips, both medical and non-medical, and looks forward to many more.